“Welcome to the gun show” will apply to this year’s CrossFit Games competition in more ways than one. The prize comes in addition to the $275,000 grand prize for each individual winner and the $70,000 grand prize for each winning team. Castro also told Fox News that the winners will receive a gift certificate to purchase a GLOCK pistol rather than an actual pistol. Winners can choose whether or not to use the gift certificate, and firearms will not be handed out at the awards ceremony. But that didn’t stop the mainstream media – fueled by Reebok and a small minority of CrossFit members – from blowing Castro’s decision entirely out of proportion. The USA Today article then moves to focus on CrossFit members who do not believe guns should be given as prizes at the Games. One member—Australian Daniel Bartels—even started a petition to speak out against Castro’s decision. Bartels sounds outraged, all right, and it isn’t hard to find similar statements on Facebook and the petition website. But as of 9:30 a.m. CT, the petition has only garnered 21,500 signatures. That’s only 4,500 signatures in the past five days, and a small fraction of the total number of CrossFit members. 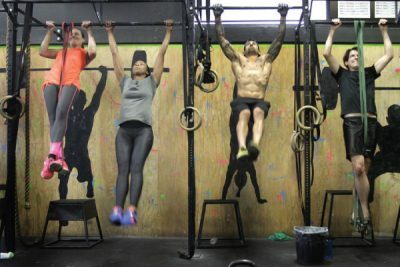 While CrossFit doesn’t publish numbers on worldwide membership, they do state on their website that they have 13,000 affiliates around the globe. Some affiliates have over 1,000 members, but even estimating an average of 100 members per affiliate yields a total CrossFit membership of 1.3 million. A 200 members-per-gym estimate puts that total well over 2 million. This means that right now a solid 1.7% of CrossFit members are “outraged” at Castro’s decision. Many more—including, according to the LA Times, top competitor Matthew Fraser—have voiced their support. Even on the Facebook post itself, more than twice as many users have reacted positively (“like” or “love) than negatively (“anger”). Next post: Remington RM380—Micro-Sized .380 ACP CCW Pocket Pistol, Full Review! Reebok, well you already lost sales to so many other shoe comp. Now your just put your self down the ladder to the bottom. If the 2nd amendment means anything to you tell Reebok to put thier shoes where the sun do shine I will never buy another pair or wear them if they are given as a gift I will burn them!!!!!!!!!!!!!!!!! Well I’m never wearing Reebok again just the same as I won’t wear anything with the NFL logo on it or NBA.